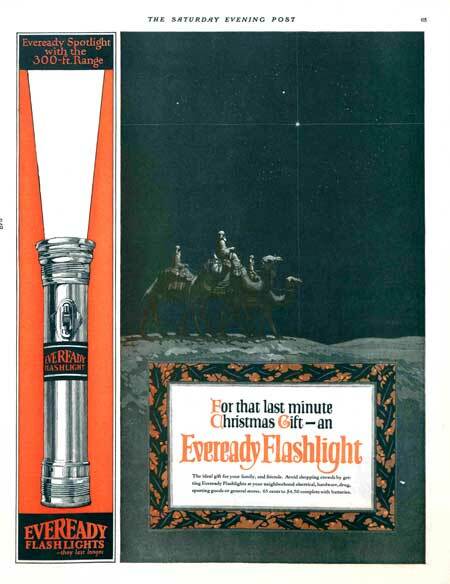 Vintage Christmas technology ads from The Saturday Evening Post. These ads might seem quaint now, but the products in them were on the cutting edge of technology in their day. Typewriters, radios, refrigerators, black-and-white TV sets: each of these was once as recent as smartphones, tablets and Chromecast are today. The 1940 Frigidaire ad featuring Santa Clause includes a price tag of “Only $116.50,” the equivalent of almost $2,000 today. The 1948 Admiral “Triple Thrill” ad for an all-in-one entertainment center featuring a TV, radio, and phonograph player lists a price of $549.50. That’s over $5,300 in today’s dollars. They’re an icon now, but Christmas lights were still new in 1922. You mean Sony didn’t invent headphones? A gift for the whole family from RCA. Many ads found a tenuous tie between electric lights and Jesus’s birth. This 1929 ad uses Art Deco style to sell modern appliances. That’s an oddly specific letter to Santa. They’ve been playing holiday music on the radio for at least 70 years. 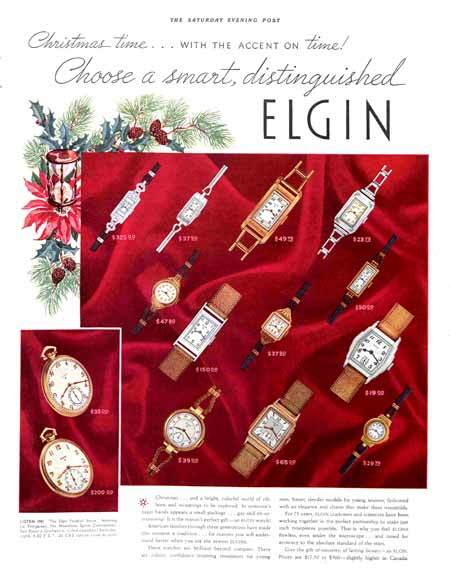 Clocks and watches used to be common Christmas gifts. By 1938, RCA already had decades of history. That’s almost $2,000, once you adjust for inflation. A shift to military production didn’t stop advertisers during WW2. 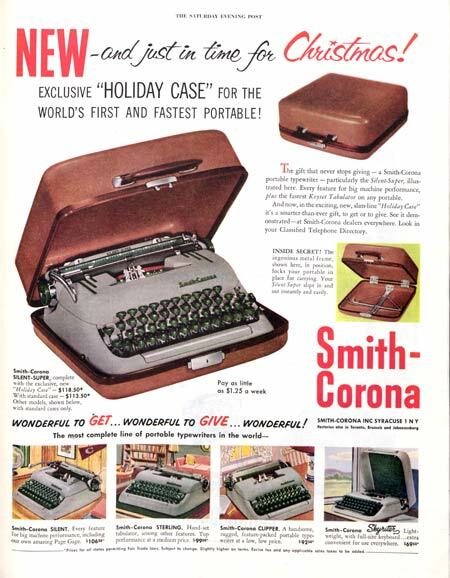 Portable typewriters were the laptops of their day. This ad has a watch idea for everyone. Even in 1957, typewriter technology was still advancing. This ad series from GE boasts the latest technology from fifty years ago. Making home movies in 1966. And now you can watch TV everywhere you go.